Last night I saw South Africa's finest, Jeremy Loops live at London's Electric Ballroom in the heart of Camden. I first got to know of Jeremy through Ben Brown's vlogs and I'm so glad I did. He's a "modern folk musician from Cape Town, South Africa." and if there's one word to sum up the sound of Jeremy Loops, it would have to be pure happiness. There is no way you could be sad (okay except for maybe a one more mellow sad number...) listening to him. "Juxtaposing booming city rhythms with lilting folk, Jeremy Loops perfectly captures the duality of his South African life. The extremes aren't new to the singer, who by day travels to the furthest corners of Africa to battle deforestation through his organization, Greenpop, and by night resumes as raconteur for raucous fans around the world. In a whirlwind 2014, Loops debuted at #1 on iTunes in South Africa, headlined major festivals, and maintained #1 on the three most prominent radio stations in Southern Africa with "Down South", his breakout single. You wouldn't know on sight that the always affable, charming Loops' social message is as important as the message he writes in his songs. A sense of oneness with all that is around you is a fiber woven into everything he touches. On Trading Change, his debut, his wandering spirit is in constant flux with a pulsing desire to be grounded in love. On "Mission to the Sun", an impassioned plea for a lover to stay afloat, Loops implores "Wherever you go and however you roam, just keep your head up high and keep howling at the moon". To say Jeremy merely roams is a disservice to his boundless activism - through his environmental work at Greenpop, he traverses Southern Africa teaching underprivileged schoolchildren how to protect their planet. This connection with the planet and its inhabitants is just one element of the broken tale Loops tells on Trading Change. 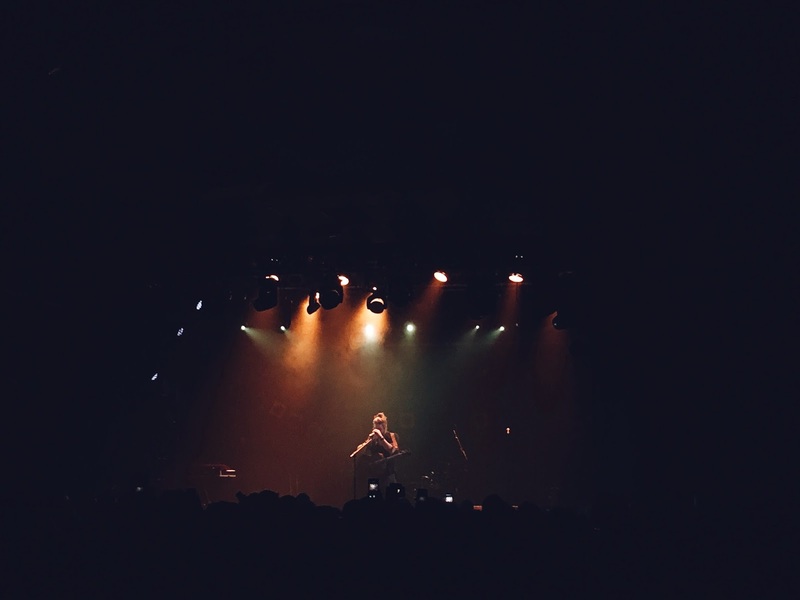 Fraught with lost love and moving on, Trading Change is a fervent letter on embracing those intimate wounds and taking flight"
After seeing him support Twenty One Pilots back in November I had to see the loop artist headline his own show. One train and a tube later I was in one of my favourite venues with essentially the whole of South Africa's population in London crammed in which was so endearing to see the level of home town support across the world. Equipped with harmonicas, children's toys and a whole lot of foot stomping the show was a huge success with this being shown through the crowds utter joy and excitement as Down South began to ring through the venue. I've never been to South Africa but I feel as if a Jeremy Loops show is almost a glimpse of a South African summer. Now I want to book a plane ticket as soon as possible.